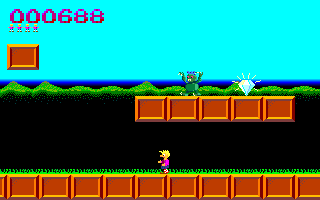 Simple platform game written in Turbo Pascal. If you want to accomplish a level, you have to collect all treasures. 12 levels, 2 different type of enemies. Nice, but I’m having a hard time playing it on emulator. I noticed it requires at least a Pentium II for decent speed.